I got given this lovely large bowl for my birthday this week. So far I've discovered it is from Dumler and Breiden from the marks on the back but nothing more about age etc. 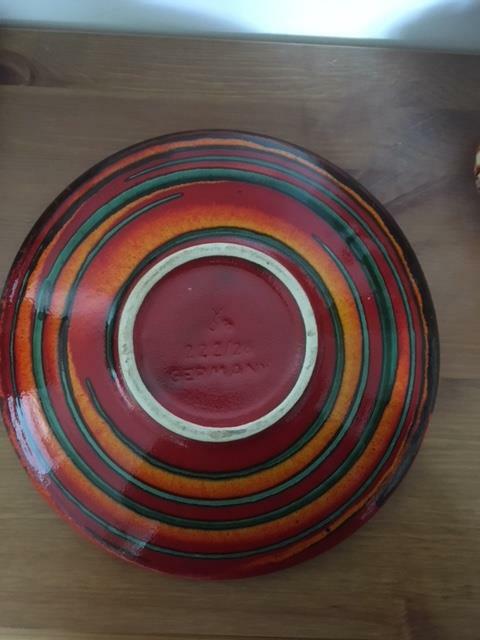 I've had a search online but haven't found any other bowls with similar designs on so I wondered if anyone knows what decade it is from or anything else about it? The mark was one used up until the mid 1970's. The mark is for the shape code and the size in cms,. The pottery boomed in the 50's and 60's but was not the market leader. Quality was always very high and they were noted for their style and diverse shapes and glazes. The pottery ceased in 1992, and was located in Hohr Grenzhausen. 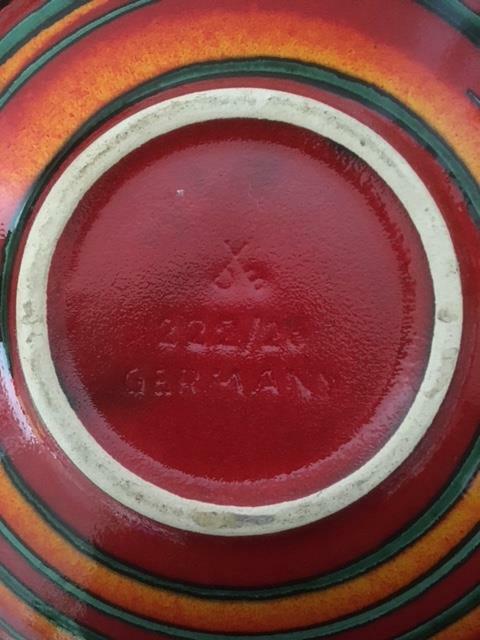 The whole West German ceramics boom is broadly classified as 'Fat Lava. Huge amount of high quality styles, glazes and shapes. But because of the sheer quanitity made only the rarest pieces have much value. Thanks for the info, it's good to know a little more about it and that it is mid century. In my minimal research I had seen other Dumler and Brieden pottery called 'Fat Lava' but didn't see any pieces that looked similar to mine. I love the bowl whatever it's age but all information about it is good to hear. 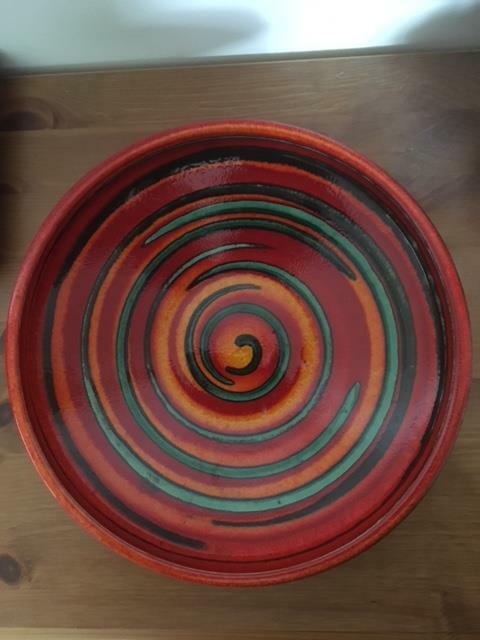 The term 'Fat Lava' is a generic assigned to most West German export pottery of the 60's and 70's in particular. It covers a number of potteries, but generally the overall cumulative style is somewhat similar.